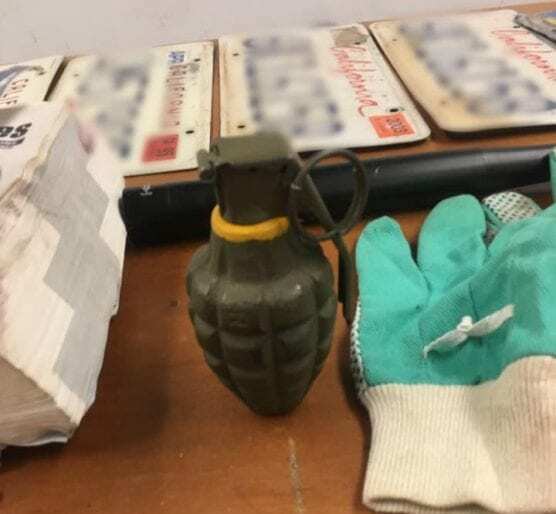 Santa Clarita Valley Sheriff’s Station deputies arrested two men on multiple felony charges after a traffic stop in Newhall on Friday morning, the station reported Sunday. “A traffic stop was initiated and deputies made contact with two adult males in the vehicle. “The vehicle’s occupants were found to be in possession of heroin and methamphetamine for sales, a dirk/dagger, billy club, a replica hand grenade, counterfeit U.S. currency, burglary tools, multiple license plates, and numerous vintage items of high value. “Deputies arrested Michael Tupper, 31, of Santa Barbara and Christopher Pollay, 36, of Newbury Park on multiple charges, including several felonies.